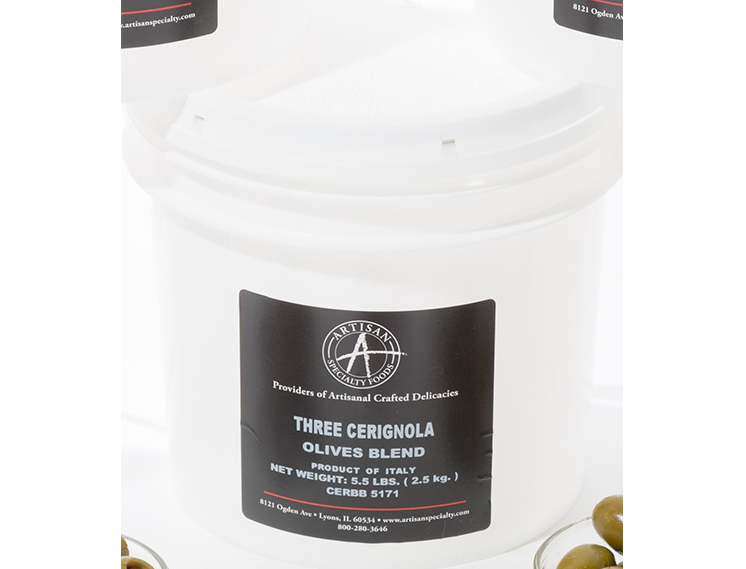 Three great olives hand mixed into one pail. These olives have a perfectly firm texture and slightly salty taste. Ideal for bar food, nibblers or even recipe application.